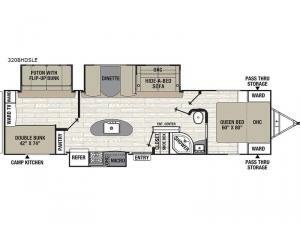 A family of four or even a family of eight can enjoy this travel trailer for years to come! 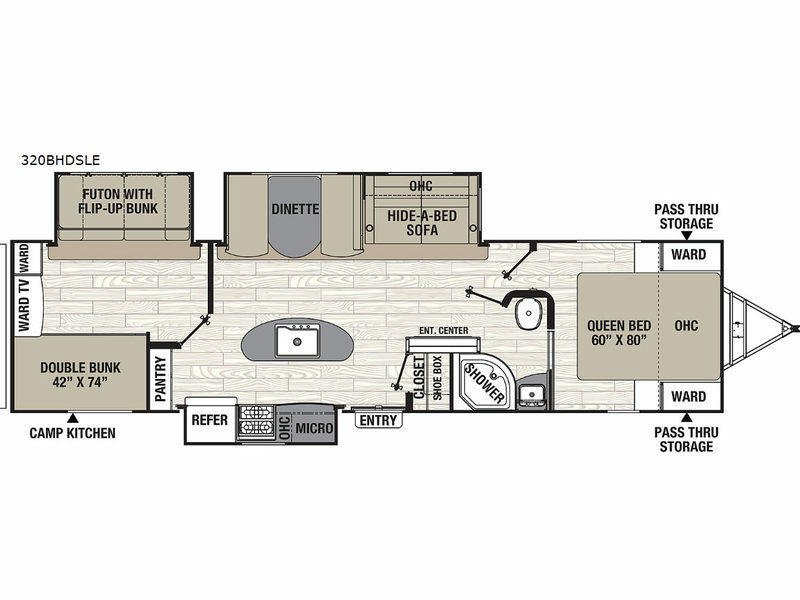 From the spacious kitchen and living area with dual slides to the private bunkhouse with two bunk beds, a futon and clothing storage to an outside awning offering an outdoor living space and a camp kitchen with a grill station, this is the perfect family RV! There is more to see like a front private bedroom, an entry closet, and an exterior pass-through compartment for those larger camping items, plus a few options you can choose to fit your camping lifestyle!